Home / Expat Confessions / 7 Years Devouring Spain… What’s Next? Just about seven years ago I left my tiny Madrid apartment with my heart aflutter. 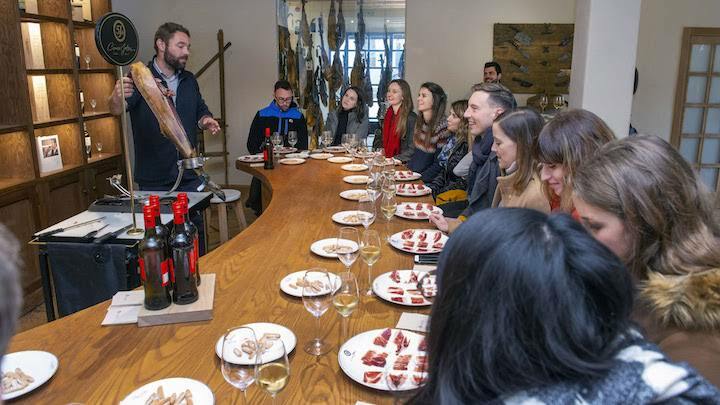 I was about to lead my first Devour Tour (known as Madrid Food Tour at the time). The crazy idea I’d had six months earlier had become a reality– people had found my website, read the tour descriptions, emailed me, and booked a tour! I was nervous because while I knew loads about Spanish cuisine, I’m of the mindset that you never know enough. 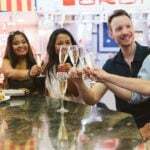 And although I knew my route inside and out, I was still fairly new to Madrid– what if my guests asked a question I couldn’t answer? But off I went, determined to make something work that would combine my love of food, hospitality, and people. My first tour flew by, and the lovely couple I hosted liked it so much that they asked me for a second tour the following day! So I brought them on another route, and since then have dedicated my professional life to food tourism. When we decided to expand our tours to other cities (starting with Barcelona in 2014), we rebranded to become Devour Spain. 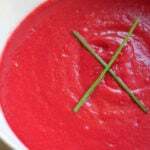 Devour is a great word for our food tours that are about so much more than the food! Of course, we do devour delicious food, but we don’t stop there. Another definition for devour is “to enjoy avidly,” and we bring that into play as we fill bellies and minds. So while amazing food has always been the main ingredient for our tours, we sprinkle plenty of history, culture, and context on top. Great food (and wine!) must be the base ingredient of every tour, but we go far beyond the food! 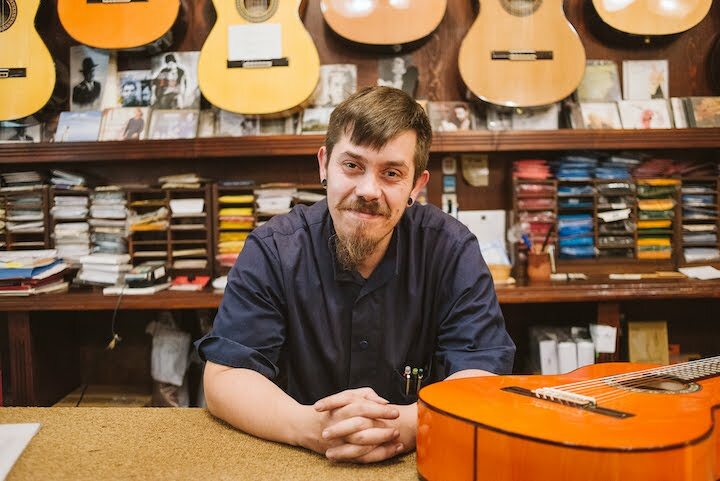 Our tours visit people like Rubén — the owner of a handmade flamenco guitar shop that’s been passed through generations. His secret? He doesn’t know how to play! Our tours mix in culture and history (like the story behind this incredible door). For seven years we’ve worked extremely hard to offer some of the best tours in Spain. 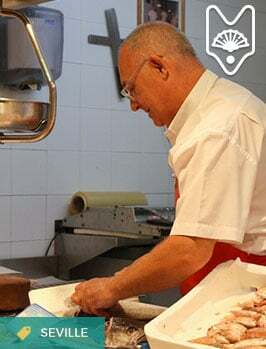 We’ve grown our team from a few food lovers in Madrid to nearly 20 full-time staff spread throughout the country. We operate in four Spanish cities (Madrid, Barcelona, Seville, and San Sebastian) and work with roughly 50+ freelance tour guides. But it hasn’t evolved without a hitch! Throughout the years there have been plenty of ups and downs, not to mention the personal toll that owning your own business takes. From the start, I went all in on this with very little time for a personal life on the side. I’ve suffered from bouts of burnout from time to time, but luckily kept my passion for what I’m doing. People like Juanito in Barcelona fill my heart with joy when I get tired of office work! While working out our long-term business model these years we experimented with a lot of different failed ideas as well. A wine shop, plenty of new tours that never took off, and even a handful of cities that just weren’t viable. 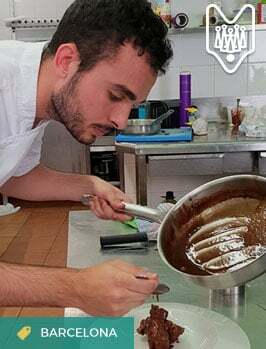 In spite of our intentions to share the food culture of places like Malaga and Santiago de Compostela, we learned that these smaller cities didn’t work with our sustainable business model. 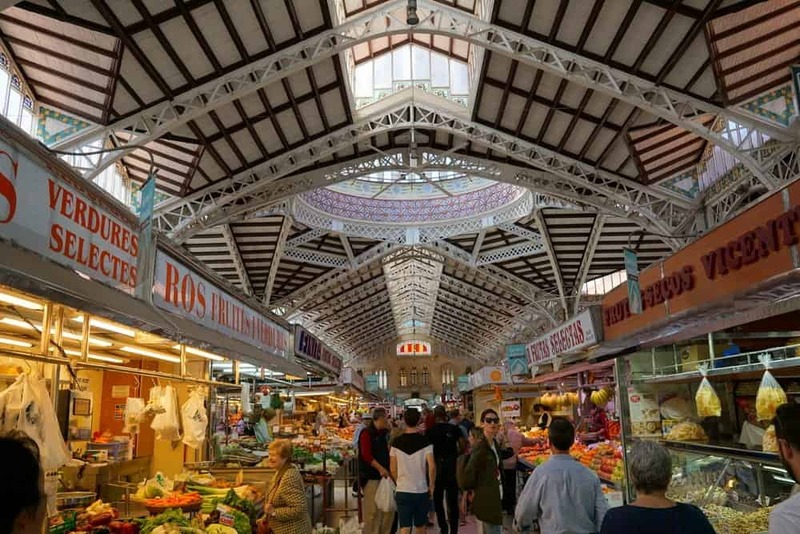 Malaga is a must visit for foodies. I’m sad we weren’t able to make the tours there work, but we made some amazing relationships while trying! But with every failure and bump in the road came the opportunity to learn and grow, and as someone who loves learning, it’s been well worth it to develop Devour Tours so organically. Through this process, I’ve discovered so much about my own strengths and weaknesses and honed in on what makes me and the rest of the team come to work with a smile every day. 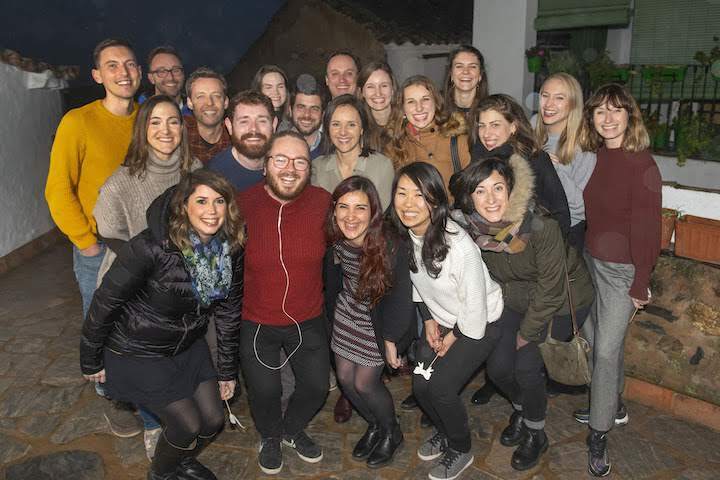 In January of this year, we held our annual staff summit and gathered twenty Devourers in sunny Seville for three jam-packed days of learning and fun. I sat back in awe at the quality of the presentations my colleagues gave on topics like customer experience, sales funnels, and conflict management. We had fun too: our Seville Head Guide, David, prepared an in-depth Andalusian wine tasting for us; our Content Manager, Ashley, organized some of the best team building activities I’ve ever participated in; and our Seville Operations Manager, Hayley, wowed us with some of Seville’s most delicious restaurants for dinner. The whole team after a three-hour lunch experience! Learning about how Spain’s best cured ham is produced. Building a strong team at Devour Tours has been one of our biggest challenges, but it’s also our greatest reward. We have an amazing, talented, passionate staff who I am proud to call my colleagues. Seven years is a long time to do one thing, but Devour Tours evolves each and every year. And in 2019 we’re taking on a whole new challenge — jumping over the Spanish border and into some of the most delicious, culture-filled countries on the map. 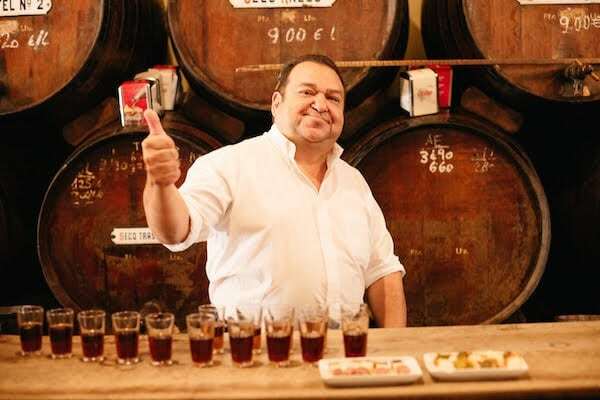 We are proud to announce our plans to bring our award-winning food tours to Paris, Rome, and Lisbon. 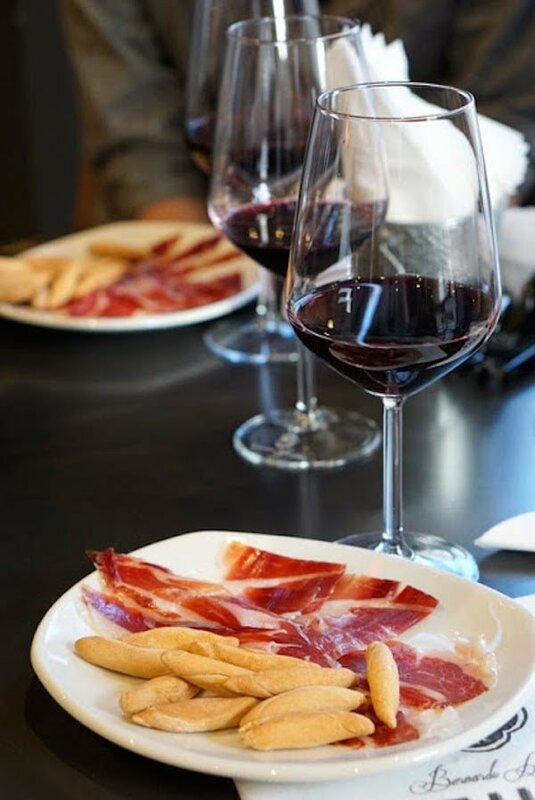 When we changed our name to Devour Tours (from Devour Spain) a couple of years ago, we were already dreaming about bringing our mission to help local culture thrive to other countries. But we had a lot of work to do before making the leap! Now we are ready to go, and we’re actively hiring Operations Managers in each city at the moment — so I don’t yet have a hard launch date for any city. But if you’re interested, you can sign up for updates and early bird discounts here: Rome, Paris, Lisbon. And if you know anyone who would make a great part of the Devour Tours team, please send them my way — even if not in one of these cities, we’d be happy to hear from you for the future. I get butterflies in my stomach when I think about this next step, the same way I did the morning of my first tour. I know it’s the right thing to do. Our talented team has nearly perfected the art of tour planning and storytelling in Spain, and we are so excited to do the same in more places. And why these cities? As we dip our toes outside of Spain we wanted to start with the places that make our hearts jump and our stomachs growl. Lisbon is our Iberian neighbor and a place I’ve spent a lot of time these past few years. It’s a place our clients already request tours from us, so it’s a logical next step. 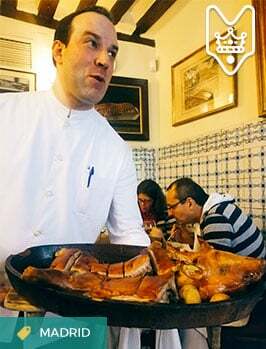 Not to mention that Portuguese cuisine is incredible– full of fresh ingredients and amazing history. I am so excited to tell the story of Portuguese cuisine on our Lisbon food tours! 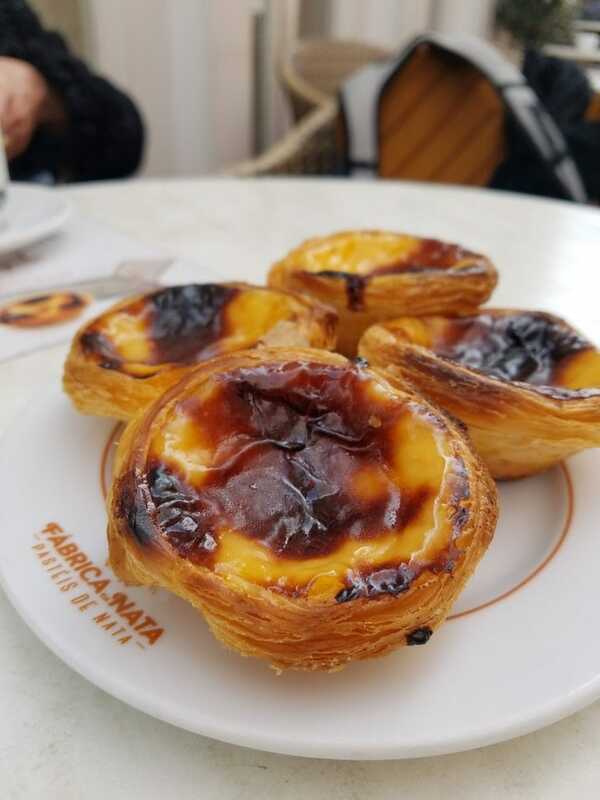 One of my favorite biets in Lisbon – delicious pastéis de nata! Rome is a place dear to my heart, as it’s one of the first places I ever visited overseas. When I was a teenager instead of saving the money from my part-time job for a car stereo or new clothes, I spent it on Italian lessons and a summer exchange in Italy. I still remember my first impressions of Rome — crowded, smoke-filled, loud… and totally addictive. Its layers of history, amazing food, and vibrant people hooked me for life, and am so excited to show people the Rome I love on our new tours. 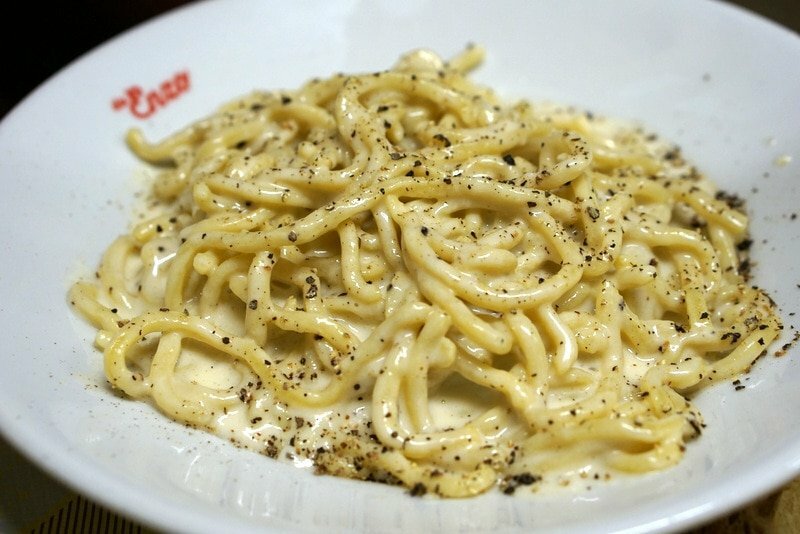 Roman cacio e pepe – it haunts my dreams. And Paris — I actually have a very short history with Paris, as I only just visited last year for the first time. Paris was so built up for me – I’d read so much about its culinary history; the techniques and traditions that most of the world follows. How could a short visit ever do it justice? But finally getting to Paris opened the door to what I’m sure will be a lifetime of visits. I fell head over heels for the City of Light. The pastry shops, French wine, cheese, bistros… I am already craving more. 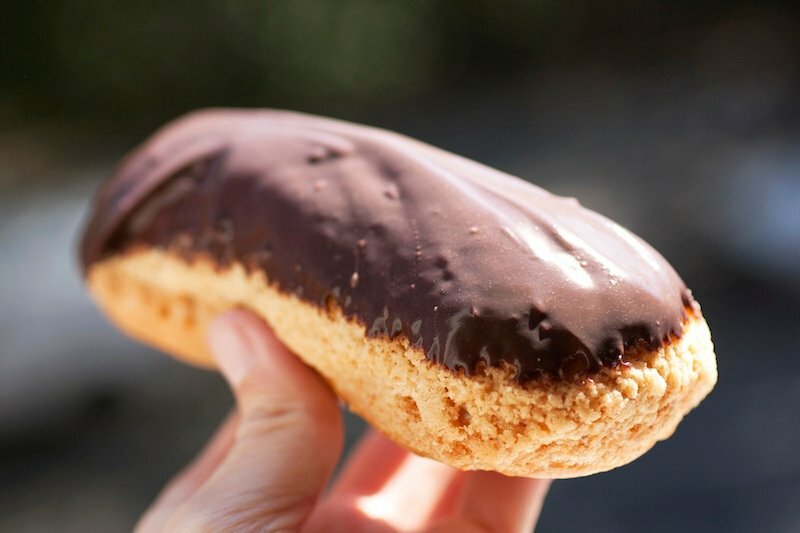 The perfect eclair. Photo by bionicgrrrl on flickr CC. As cities continue to change and homogenize, “live like a local” marketing terms grow in popularity. And while I won’t bash that term (we use it as well), I often struggle with the meaning of “local” and “authentic”. What it comes down to for me is my own desire to go beyond the surface level when traveling. I want to be a tourist (I love being a tourist!) but not fall into tourist traps. I want to eat local foods and support local businesses with my tourism dollars. I want to learn a bit of the local language and speak it with people who live there (even if they weren’t born and raised there). I want to learn enough about the place’s history to put its present into context. I want to keep an open mind to things that are different from where I come from. And I want to learn. One of our core values at Devour Tours is “Be Curious, Keep Learning” and that’s what travel is all about. And that’s why we do what we do. The happiness we feel when we truly feed peoples’ curiosity on our tours is addictive. The impact we have on the local community and economy is important. I truly believe that tourism is one of the most powerful tools for preserving and celebrating a place’s history, heritage, and traditions. Sense of place is important, and in an ever-homogenizing world, I’m happy to be a part of promoting it. Here’s to seven more exciting years. Do you think about these things when you travel? I’d love to hear your thoughts below. You can read more about Devour Tours and our mission here. Congratulations Lauren! I remember meeting you when you’d just started Madrid Food Tour. It’s been incredible to watch you conquer Spain, and now other parts of Europe! What a superb achievement! Looking forward to seeing you in Lisbon! Lauren, congratulations. My daughter and I first took your Madrid Food Tour in February 2015. You are along for that tour as you were training a new tour guide. My daughter loved talking soccer with her! We loved the tour so much that when we returned with my husband in June 2017, we took the exact same tour plus the Prado/lunch tour and loved it. 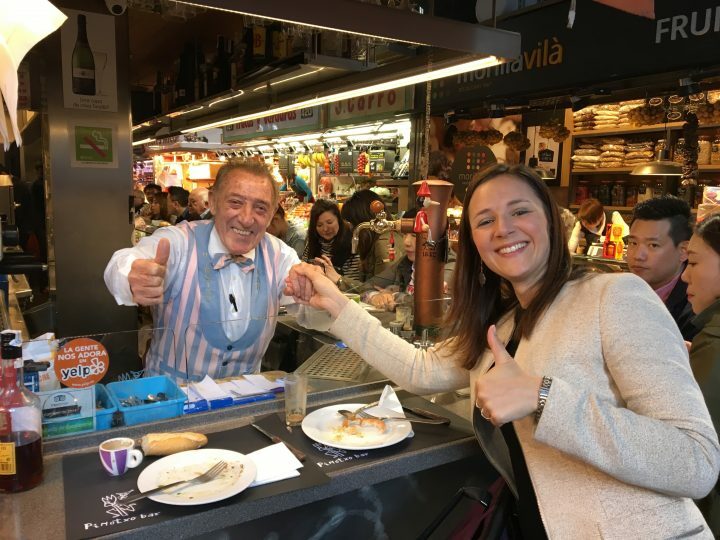 Now we will be back in Spain this summer – in San Sebastian – and our first order of business is the food tour – booked for the day after our arrival. I also have appreciated your recipes…we love your recipes for salt cod croquettes and once a year, we devour your carrillada recipe. Thank you! Hi. Is any of your Devour Tour’s website available in Spanish? Thank you. Hi there Heather, our websites are in English but we do offer tours in Spanish for groups of 8+. Please get in touch if that applies! The first tour we took with your company was in Madrid in 2015. We also then took a tour with you in Sevilla when you were starting tours there. I think we have taken every one in Madrid and Sevilla, and in June will take one in San Sebastian before we walk the Camino Vasco. Before that we will be in Rome in May, and would love to be guinea pigs for your Rome tours. We are so glad that you are doing so well. Hi Patricia – wow! This is such a nice comment and I’m so happy our tours could be a part of your trips to Spain. If we are up and running by May in Rome I will definitely be in touch about having you along. Thank you for your nice words!